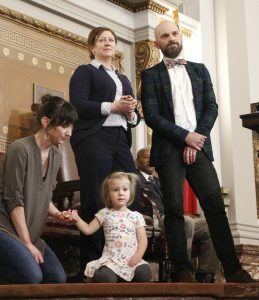 CITY HALL — With a multitude of accolades, the St. Louis Board of Aldermen said goodbye this week to two departing aldermen, Terry Kennedy of the 18th Ward and Scott Ogilvie of the 24th Ward. “Alderman Ogilvie, you have served this city well. 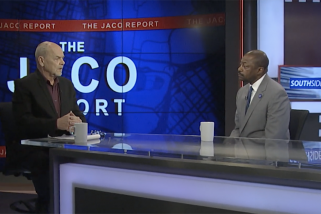 You have changed us through your persuasive comments, and that has all been for the better,” Mayor Lyda Krewson said during the board’s final meeting on April 15. 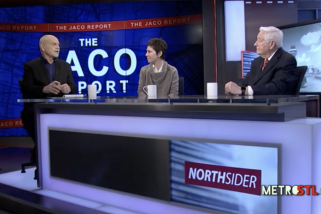 Both aldermen chose not to run for reelection. Kennedy, however, will not be going far. He will the become Board of Aldermen’s new clerk this week. Ogilvie said he was pretty sure he’s gotten a new job too, but wouldn’t say what it was. With his wife Ruth and his daughter Ruth by his side, Ogilvie said he’d gotten many of the things he was interested in done. 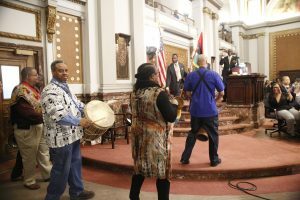 Surprised by the entrance of an African drum group, Kennedy spoke of the legacy of his late father Sam Kennedy, who was alderman before Kennedy was elected in 1989. 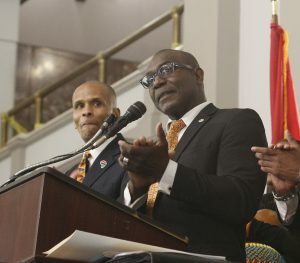 He also spoke of how Sam Kennedy survived the East St. Louis race riots of 1917 and other relatives were slaves. “Those are the stories of St. Louis that enrich all of us,” Kennedy said. “Terry has been a great leader, a wonderful mentor,” Alderman Shane Cohn said. Kennedy lives the values of diversity, Cohn said. “Alderman Kennedy, you lead us by example,” said 20th Ward Alderwoman Cara Spencer. Aldermen also offered praise to Ogilvie. “His departure leaves a role not easy to fill,” said 6th Ward Alderwoman Christine Ingrassia. “I’m going to miss watching the way your mind works on city policy,” said 16th Ward Alderman Tom Oldenburg. “It’s been a sheer joy and pleasure to know your over the years,” said Cohn, who shared an office with Ogilvie. Kennedy and Ogilvie’s successors, Jesse Todd and Bret Narayan, respectively, as well as the other newly-elected aldermen, will be sworn in Tuesday. Check back next week for our photos and full coverage. 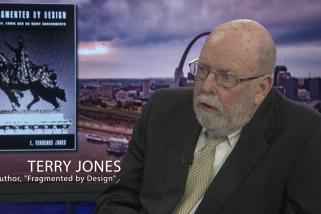 Born and raised in St. Louis, Jim Merkel covered communities throughout the area from 1991 to 2013 for the old Suburban Journals of Greater St. Louis. He is the author of four books about the Gateway City published by Reedy Press. 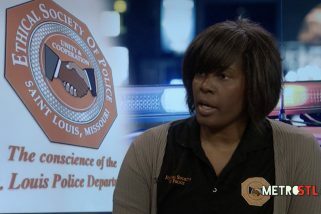 He and his wife, Lorraine, live in the Bevo Mill neighborhood of south St. Louis. For more about Jim, visit www.jimmerkelthewriter.com.